Join us for our 3rd annual Luminary Walk! Warm winter greetings from our clinical, accessible hoop house! 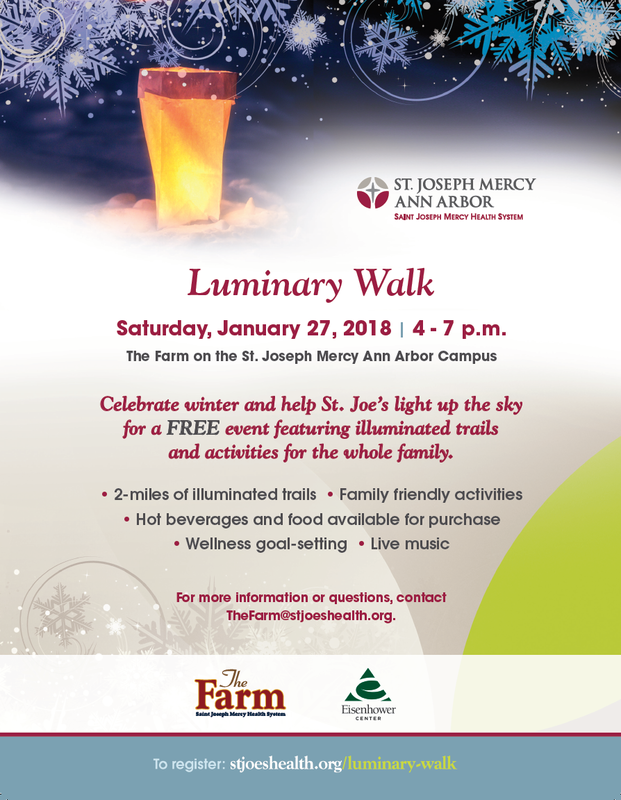 We hope you can join us for our third annual Winter Luminary Walk, in partnership with St. Joseph Mercy later this month at The Farm. This event is free, and features two miles of illuminated trails for hiking, family-friendly activities, hot beverages, wellness goal setting and even live music! It’s a great opportunity to re-connect with nature and to set the new year off in a fun way. Hot food from WoodFiredUp will also be available on-site for purchase. The last two years have been great successes, with hundreds of folks from the community coming out to say hello and enjoy the illuminated forest paths. Invite your friends and family and celebrate winter with us! 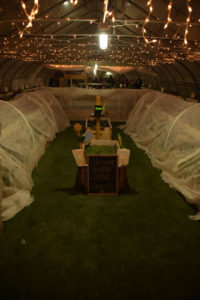 More information can be found below, at stjoeshealth.org/luminary-walk, or at our Facebook page. We look forward to seeing you there!